This is going to seem weird, but about the time that I started high school I asked my family if we could STOP exchanging presents. I have 3 older siblings and they would come home from college, get some money from my parents and go shopping on Christmas Eve. I think the last straw was when my brother and sister agreed to give each other the $50 my parents gave them to buy a present for each other. Since we stopped giving presents Christmas has been much more about time together. On Christmas Eve, we'd have a lovely Polish dinner, go into a pierogi coma on the couch, and wake up in time for Midnight Mass in Polish with the BEST music! Now that I've married Mr. Brosseau I have gone from one Christmas party to seven one year! That is wayyy too much for me to handle! It has calmed down this year, thankfully, now that Brosseau Sprout is here. 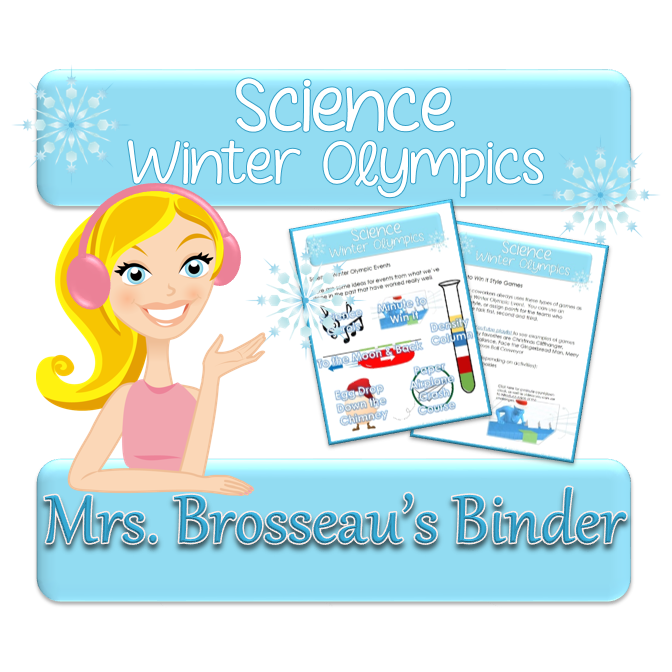 I've put a bunch of these together in this freebie along with tips on how to run this event. It is so. much. FUN! Find it at my TpT Store! But other than that, I'm not too sure what our future traditions will be. What are your favorite traditions with your family? I'd love to read about them in the comments below! 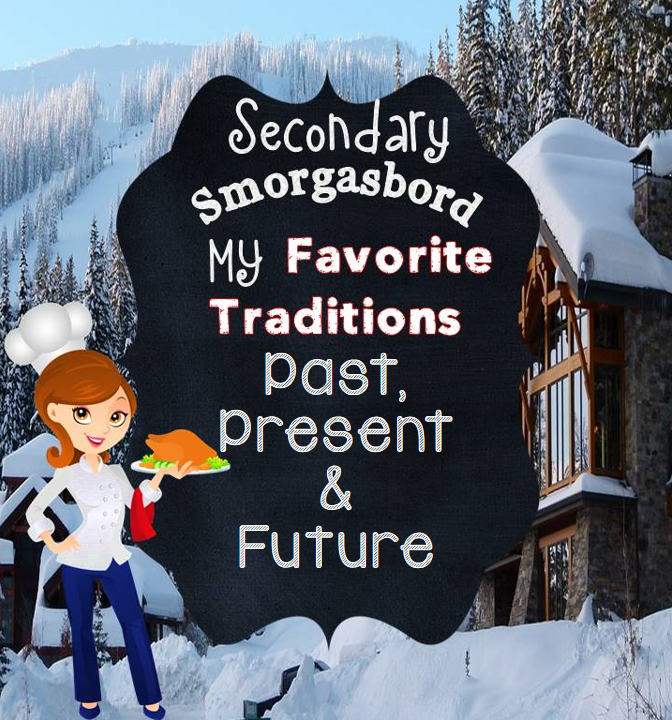 Thanks to ELA Buffet and Desktop Learning Adventures for the opportunity to share my favorite traditions. Check them out! 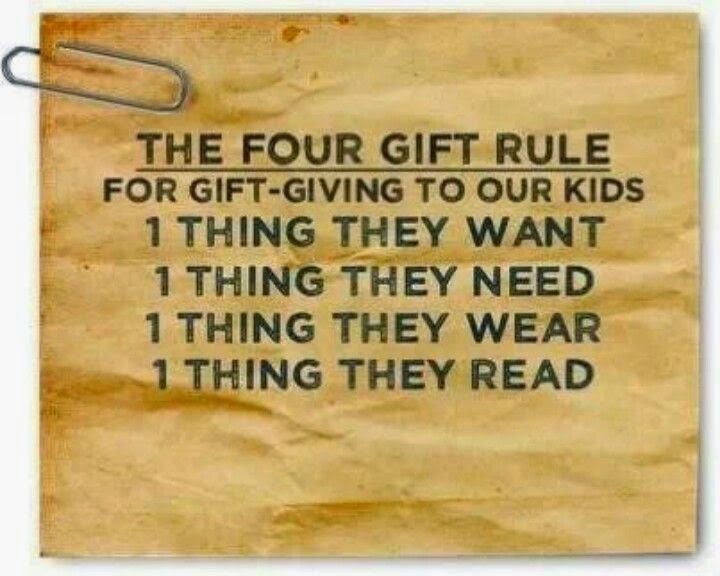 Love the four gift rule. Enjoy your little sprout! Although we put up three trees-the Steelers tree, the grandchildrens' tree and the family tree- the last one evokes the most memories and joy. Decorations from my parents' tree that go back to my toddler days join with decorations-homemade, children-made in school, gifts, and store bought to create our very own Giving Tree because it gives us so many, "I Remember..." stories to share. Happy Holidays to all, and may your traditions bring you warmth and joy. The Winter Olympics sound like lots of fun. Thanks for sharing, and Happy Holidays! The Winter Olympics sounds like a lot of fun. I might have to implement it at my future school. Thank you for sharing! 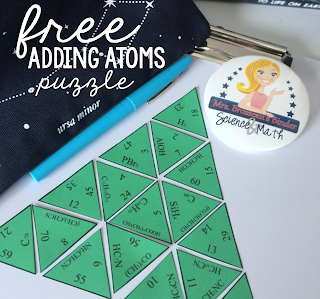 What a great way to keep your kids engaged right up until the last bell rings! And I like the 4-gift rule...it's so easy to go overboard and lose the meaning of the holiday. Hope your holiday is lovely! You're going to love creating your own traditions with the little sprout! Have a beautiful holiday season! I LOVE the 4 gift rule! Fantastic idea! Enjoy the holiday with the mister and the little Brosseau sprout (that is so stinkin' cute)!